The engine has low hours for its age, and has been flushed and stored ashore every winter season. The accommodation consists of a convertible double berth in the roomy cuddy cabin, suitable for days/weekends away. 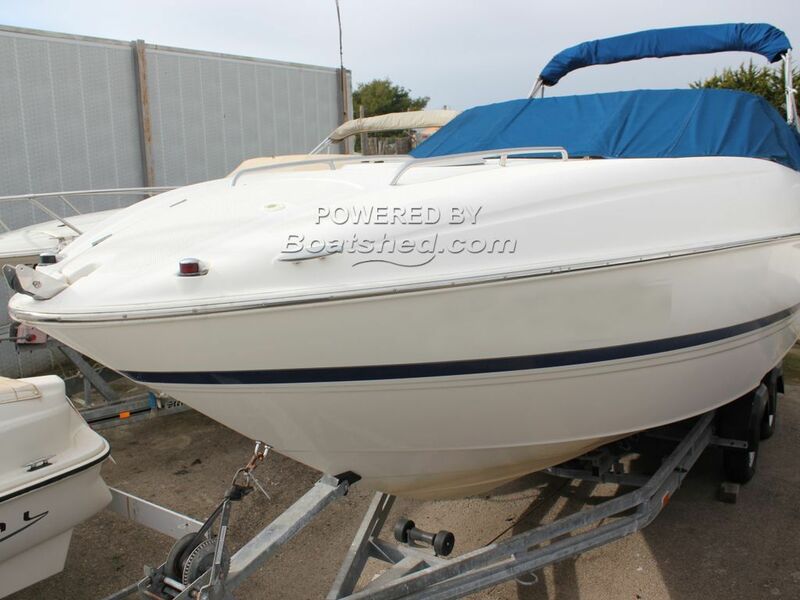 This boat looks to be well looked after, and has had one owner since new. Stored ashore every winter, bringing running costs down to much lower than an annual berth. Engine serviced yearly, and we have the service records for the past eight. This Maxum 2400 SE has been personally photographed and viewed by Rory Gillard of Boatshed Palma. Click here for contact details.